 Top on the list of pesticide-laden produce: strawberries (photo courtesy In Harvest). Popeye beware: Spinach is #2 (photo Stephen Ausmus | USDA Agricultural Research Service). 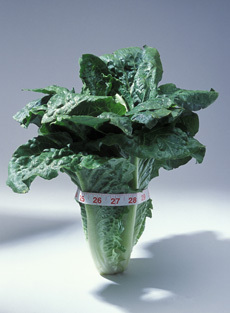 In addition to nutrition, kale is laden with pesticides (photo courtesy National Kale Day). Your fresh produce may not be as innocently good for you as you think. The annual Dirty Dozen list is out, naming the fruits and veggies most likely to be tainted with pesticides—even after you wash them. The Shopper’s Guide to Pesticides in Produce is published annually by The Environmental Working Group, a nonprofit whose mission is to empower people to live healthier lives in a healthier environment. The Dirty Dozen is the produce with the highest levels of chemical pesticides. The Clean Fifteen has the least amount of pesticides. The findings are always eye-opening. 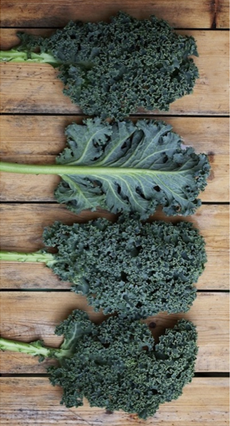 Take kale, a vegetable embraced in recent years as a nutritional powerhouse. A single sample of kale—#3 on this year’s Dirty Dozen list—had up to 18 different pesticide residues. 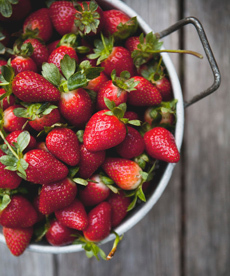 Strawberries top the list for the 4th year in a row, being the most likely to retain pesticides even after washing. The antidote? Eat more organic produce. The challenge: Organic produce is more costly and not every market carries the organic options you are looking for. Here are more on the “dirty” list. Take a look: It may influence your shopping decisions. *A small amount of sweet corn, papaya and summer squash sold in the United States is produced from genetically modified seeds. If you want to avoid genetically modified produce, buy organic varieties of these foods.